Chuck Norris is suing Myspace for taking the name of what he calls everything around you. Chuck Norris doesn’t wear a watch, HE decides what time it is. Chuck Norris doesn't love Raymond. When God said "let there be light!" Chuck Norris said "say please"
Some people sleep with a gun under their pillow, Chuck Norris sleeps with a pillow under his gun. Chuck Norris' tears are the cure for Cancer. Too bad he's never cried. Chuck Norris was once put on the wrapper for a toilet paper company. The company field tested it but it didn't work because Chuck Norris doesn't take crap from nobody. There is no 'Ctrl' button on Chuck Norris' computer. Chuck Norris is always in control. Some kids piss their names in the snow. Chuck Norris can piss his name in concrete. Superman wears Chuck Norris underpants. Chuck Norris has clicked the unclickable button... twice. Chuck Norris built a time machine and went back in time to stop the JFK assassination. 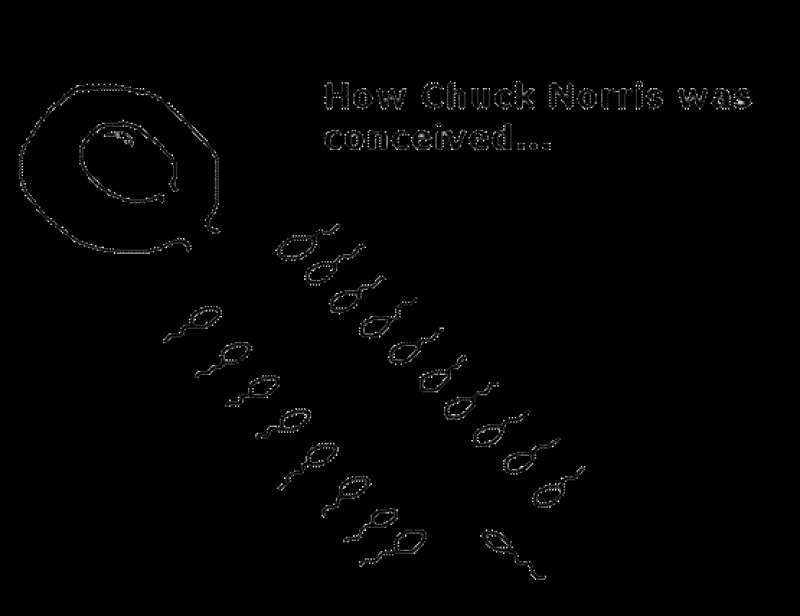 As Oswald shot, Chuck Norris met all three bullets with his beard, deflecting them. JFK's head exploded out of sheer amazement. Chuck Norris will never have a heart attack. His heart isn't nearly foolish enough to attack him. Chuck Norris can eat just one Lay's potato chip. Chuck Norris destroyed the periodic table, because he only recognizes the element of surprise. And my favourite one is.. Chuck Norris recently had the idea to sell his urine as a canned beverage. We know this beverage as Red Bull. There are only 2 kinds of software, Beta and obsolete. There are two sides to every divorce: Yours and shithead's.